Will you be tuning into Channel 9 tonight to watch Tracy Grimshaw interview Ellen DeGeneres for a special episode of A Current Affair???? We know we will be! “I thought I’d done pretty much everything in 32 years in television,” Grimshaw said. 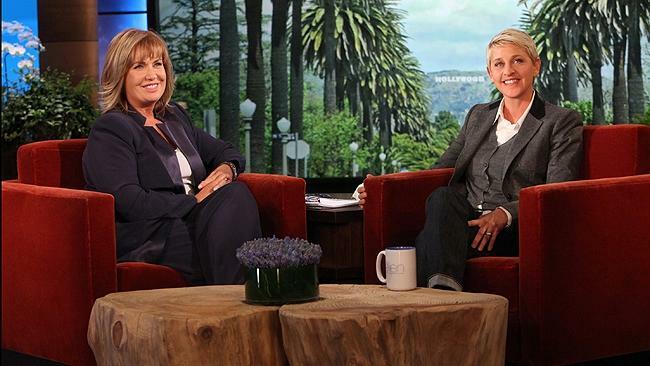 “But walking out to interview Ellen, in front of her own audience of 300 people, on her set, was quite an experience. From the promos Ellen shares her struggles, which is what we find the most endearing about her, bullying, Joan Rivers, coming out and where Portia wants to take her in Australia – apparently a pub but the location is a secret so there’s not a stampede of people hoping to catch a glimpse of the famous pair. “Her staff said afterwards it was a side to her she never shows publicly and she told them that she really enjoyed the chat. I hope our viewers do too,” shared Tracy. Segments of The Ellen Show will be filmed here next month when Swisse brings Ellen and her crew Down Under as part of its global launch in the USA and we are so excited to say the least. The Ellen interview (reminds of the interview Ellen did with Oprah, back in 2009 – read it here), airs tonight, Channel 9, 6.30pm AEST. Copyright © 2013 Sassi Sam Pty Ltd. All Rights Reserved. Designed by Hong Rui Lee, Hosted & Developed by RGM Design.